American Landmark Apartments is one of the fastest growing multifamily owner-operators in the United States. Based in Tampa, FL, American Landmark specializes in the strategic acquisitions and aggressive management of value-add multifamily assets located in high-growth markets throughout the United States. A private owner-operator with the knowledge and experience of over 30 years in the multifamily property industry, we continue to generate outsized, risk-adjusted returns of our investors. We provide services including apartment management, in-house due diligence, property acquisitions and disposition, and construction project management. 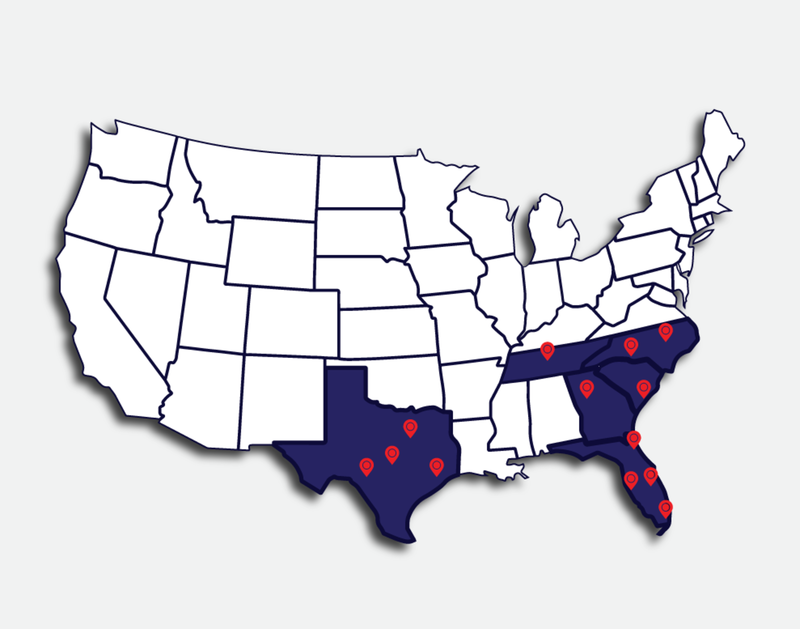 Our current portfolio consists of approximately 23,000 units spread throughout Florida, Georgia, North Carolina, South Carolina, and Texas. The sponsorship team has a solid 25 year track record in this arena, having purchased and successfully exited over 150,000 units. Including the sale of its public company, Landmark Apartment Trust to Starwood for $1.9B in 2015, we have delivered an average 23% IRR to investor level over the past 25 years and our current funds are outperforming projections. We believe in alignment of interests between sponsors and investors, and full and transparent audited reporting in both GAAP and IFRS. American Landmark is committed to delivering great service and outstanding living environments to residents; and delivering consistent attractive risk-adjusted returns to investors and partners. For more information about our investment strategy or investment opportunities, please contact our team at CorporateContact@ALapts.com. Our current portfolio consists of approximately 23,000 units spread throughout Florida, Georgia, North Carolina, South Carolina, and Texas. By continuing to provide outstanding service and hand-over-hand returns to our partners, we look forward to our continued growth throughout the country.